Man’s personality and identity is unknown to all, even to himself. Only His Lord and Creator truly knows him, for it is He who gave that identity of Deputy (Khalifa), to Man. This worldly life is no value, what is of value is the Station of being Deputies that has been bestowed upon us. Maulana says that it is like a Tree calling to the river water, to come and complete its journey in its fruits! Water has two choices when it flows in a river, it can flow through vegetation and become part of a fruit, or it can flow aimlessly to the ocean. If it accepts that call, the drop of water may attain an exalted position, in which it gives life to vegetation, flowers and fruits. The Lord of Heavens sent us Prophets who brought discipline, the Shari`ah; if you are keeping that discipline, you will take more and more honour. If not, you have wasted your life, you are going to end up in the ocean, without the benefit of attaining eternal life; you will be amongst the Spiritually dead ones. Oh People! Use your minds, you must know what is important and what is imagination, what is a real jewel and what is an imitation. You must strive with all your might, to climb from one level of understanding to a higher one, from one Station to a higher Station, like a drop of water climbing up a tree. At each Station, more glorious enlightenment awaits your Soul’s pleasure and enjoyment. The drops of water who accept the call of the Tree, will be honored, for, when that special drop of water reaches its destination within the fruit, it acquires, not only a real taste and a beautiful appearance, it also attains something from the secret of Life, for every living thing comes from water. The secret of life is water. The water of life is Love. And Love is what makes life sweet.The drops of water that nourishes fruits, are those who are really tasting that sweetness. But if you choose to laze your life away, turning your back on the Stations of Nearness to your Lord, you are going to be like that water running to the ocean. Unlike the water which struggles up through tree trunks and gives life to such a staggering amount of fruits, sewage water merely flows to the ocean, without going into any vegetation. It gives no life, and shares not in its secret. Therefore, if a drop of water intends to flow through a tree, it needs to bow to nature’s authority and to follow the physical limits assigned to it. Try to follow such a discipline (Shari’ah), we must keep the discipline that our Lord, the Heavenly Creator, made for us; only then do we acquire honour. Therefore, try to make it to that fruit, so that you will be honoured with a specialty, that people will behold and say, “Mashaa-Allah.” If not, you are finished; you are never coming back here again, you will never be given another chance ever again, to acquire any honour. This is your only chance; your Lord is not in need of that honour, it is you who are in need of it. In these times, where people want absolute freedom to do as their egos command, people do not accept any sort of rules or discipline in their lives, they do not want to be trained to acquire some part of heavenly honours. Whoever is not interested, it doesn’t matter; the ocean takes you in the end, and when you ask, “May we come back?”, the answer will always be, ‘No’, for, even if you return to this worldly life a hundred times, you will end up the same as before! So many regretful ones will ask to return to their worldly lives. Honour is for that drop of water who accepts discipline, and for such a blessed drop, is an eternal harvest, for those fruits are forever! Sadly, so many people are heading to that Eternal life, not as fruits, but as ordinary water, they will never receive the benefit of what the Lord of Heavens has hidden in the Secret of Water. Oh People! Come to accept divine discipline, to be happy here and Hereafter. If you are not accepting to be disciplined, you will destroy yourselves and others as well, and you will become of the dirty ones; like rubbish, you will have with no value. Try to be a valued ones here and for all Eternity. If you are not accepting it, it doesn’t matter; you will be taken to the oceans, never to return. Oh People! Come to follow heavenly rules and leave what you are following of shaytanic rules. If not, you are going to end in the worst position! If you follow heavenly rules, you will be happy here and in the Hereafter; if not, it doesn’t matter, as you are going to lose every heavenly grant that was to be bestowed upon you. Leave shaytanic ways and follow heavenly ways that have been given to you from the time of Sayyidina Adam (as) to the time of our Prophet Muhammad (saw)! By admiring the vastness of creation, Man sees himself in perspective, he is but a weak and insignificant creature, who had no means to understand, let alone influence inter-galactic events. Man must realize his weak condition, and that is achieved through constant reflection of the limitless powers of Allah Almighty. Constant meditation on these matters, tames the ego to see itself as servant, not as a Lord. Yet in Man’s smallness and weakness, being an insignificant speck in the Universe, he has been given the mind, the heart and the Soul, and he is able to understand the rest of Allah’s vast creation, with it. Allah did not give Man Physical prowess to fulfil his Duty as His Deputy, He bestowed Man with the Spiritual preparation and gifts to attain that Station. Just as a bird is given wings, and a fish, fins, to survive and thrive in their respective worlds, Man too has been given the complete set of accessories and tools to be His ultimate servant. In this beautiful Suhbah, Maulana is drawing out two journeys that a drop of water can take. It can, like sewage, just flow into the sea. In doing so, it gives no life to living things, it doesn’t produce vegetation, flowers or fruit, it has lived for itself, selfishly, without care for others or even for itself. Such a droplet achieved nothing in his short life in this world he had been sent here to attain Deputyship, he had been dressed in the Secret of His Lord, but he chose to throw all that away, to seek the animal pleasures of this temporary life. He leaves this world, not as Allah’s Deputy, but as a heedless bankrupt, a drop of sewage water that the river is happy to rid itself of. Or the water droplet can choose to follow Shari’ah, a life of Discipline, for His sake. Such a drop of water goes through much testing and training, but eventually, it tastes the sweetness of the fruit, and helps give life to it. A fruit is very symbolic, as descriptions of Jannah (Paradise) in the Qur’an always mentions the vegetation and fruits, that are found within in. No sweet fruits or green vegetation is found in Jahannam! Each fruit has a different taste a watermelon and a pineapple taste so different – and each fruit contains its own special store of vitamins, energy and pleasure. Allah created everything unique – for example, different species of bananas taste different, bananas from the same comb also taste different, and even different parts of the same banana are different! Subhanallah! Every drop of water in every fruit, will attain its own unique station of sweetness and its own special combination of vitamins and energy, yet each drop is in ecstasy, for the drops of water in the fruit are gathered with other droplets who have completed the same gruelling journey, they are in the company of the blessed ones, the fellowship of the pious! The drop that arrives at its destination tastes, and gives taste! It benefits and in turn, gives benefits too! Most importantly, it will understand the Secret to Life, as Allah Almighty said that He made every living thing from Water. Maulana said, “Water is the Secret to Life, and the Water of Life, is Love! Hence the Secret lies in Love,” not talking, writing or reading about it, no, but tasting it, just as that drop of water in the fruit is tasting. Volumes may be written here, but only the droplet who has tasted, knows and understands. And only one who possesses it, may give of it, that is why it is so intoxicating to sit in Maulana’s presence (for those who have been blessed to meet him), for one who has tasted and drowned in the Love, becomes a fountain of Love from which others may drink from, like a ripe fruit from which we may take taste, pleasure and refreshment! Read these Verses of the Holy Quran, in which Sayyidina Ibrahim, asked for fruits! After Sayyidina Ibrahim (as) was severely tested by Allah (he took the Way of Discipline), Allah raised him and his descendents as Imams (Guides, Knowers, Gnostics, Friends of Allah), and commanded him and Sayyidina Ismail (as) to ‘sanctify My House’, which means, ‘to teach mureeds the Way of Discipline, to clean their hearts of Ego, for the heart of Man is the House of God’. Sayyidina Ibrahim (as) prayed that Makkah be a City of Peace (mureeds who followed the Way would attain peace) and beseeched Allah to give those who believed in Allah and the Last Day, ‘fruits’. Despite Makkah lying smack in the middle of a desert, Sayyidina Ibrahim (as) did not ask for (tasteless) water, nor did he ask for (physical) food. Prophets are always seeking Spiritual nourishment for their Ummahs, and Sayyidina Ibrahim (as) prayed to Allah, that believers be given ‘fruits’ – symbolising a journey of taste, under the guidance of true Shaykhs, who had walked the journey themselves and attained the Secret. It is significant that Maulana likened each human being to a drop of water, as our bodies are almost 80% water. Water is unique, as so many substances are able to dissolve in it, perhaps showing a human being’s ability to absorb so many different types of knowledge and understanding. Water is known as the Universal Solvent, and Man has indeed been given the Keys to the Universe, as Adam (as) was taught the Names of all things. Maulana says that we are all drops of water flowing in a stream. That is a beautiful analogy of life. A river flows so quickly, time passes relentlessly; and even if we stand still, time doesn’t wait for us. So many of us are caught up in the day-to-day activities of our lives, before we know it, a decade has shot by, and we are still Spiritually as lost as we were, ten years ago. The drop of water that takes the easy route, will simply flow to the ocean. The one that takes the hard route, the Way of Discipline, will eventually reap an everlasting harvest. In a hadees Qudsi, Allah revealed to Jibrail (as), that the Way to Jahannam is easy, while the Way to Jannah, is very difficult, for it is a journey that requires discipline – even to become a Commando or a Heart Surgeon takes years of training and dedication, do we think that we can acquire life’s ultimate prize, Union with the Lord, and tasting of the Hidden Treasure, with no effort? An aimless, lazy human being will never attain any honour. Like the drop of water hurtling to the ocean, he is just following his whims and fancies, and seeks only to please his Ego. In the end, the drop of water unites with the sea, it becomes Salty, an analogy for the Sea of Tears that such a person will cry, in eternal regret for having thrown away his honour and Station, for he will never be given such a chance again. Like tears, Sea water is salty, and provides no refreshment or satisfaction to one who drinks it. Similarly, one who ends up there, will never find refreshment or satisfaction, no matter how much he weeps at his folly. The drop of water that chooses to enter the tree, will start to move within the root cells, by a process called Osmosis. Water is the only chemical in the Universe that moves by this method. It moves to a region with greater dissolved substances, just like a mureed moving towards a Shaykh with greater wisdom and understanding. Once inside the tree-trunk, water moves up a tree by moving up a system of pipes, called the Xylem. The Xylem is the only part of the tree that is dead, and the water droplets climb upwards by clinging to the sides of these dead vessels. It is amazing that Maulana chose this scientific analogy, as it shows us that water can only rise upwards, by holding onto the dead part of the tree. By holding onto the hand of a true Shaykh, one who is a true inheritor of the Prophet (saw), one who has ‘died before his death’ – a weak drop of water is able to ascend upwards against the pull of gravity, which symbolises his struggle against his ego and this dunia. There are two other factors that help water climb – root pressure and transpiration pull. Transpiration pull, on the other hand, is a force that is exerted by evaporating water from the top of the tall tree, it is a pulling force from the top, that is caused by the power of the Sun, which in this case is symbolises the Divine Pull, helping the Seeker to his goal. Indeed, ‘When a person takes one step to Allah, Allah takes ten steps towards him.’ (Hadees Qudsi). Once the droplet of water reaches the fruits, it is then mixed with fruit sugar, and acquires a sweetness that can be tasted in the fruit. Fruit sugar, also called fructose, is the sweetest natural sugar in existence. It is made by a unique process called photosynthesis, where green pigment is able to take Sunlight, and make it into sugar. Green is also symbolic of Rasulullah (saw), and it is amazing that only green pigment can make food directly from Sunlight, since only the Ocean of ‘Muhammadur Rasulullah (saw)’ can take directly from the Ocean of ‘La ila ha illallah’, and bring that knowledge of taste, to all of Mankind. 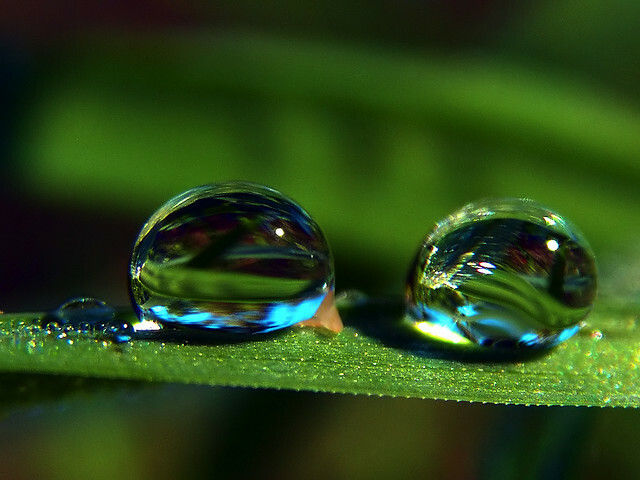 That blessed drop of water (mureed), with the support of root pressure (Association/Suhbah), plods on diligently by holding onto the dead wood called Xylem (his Shaykh), and with the help of Transpiration Pull (Divine Mercy), defies gravity (pull of Ego/dunia/shaitan/hawa) to finally reach the Green Chlorophyll (symbolising Prophet), who places it in a fruit (its Station/Maqam as decreed on the Day of Promises), dressed in the sweetest sugar (Ma’rifah) and it is now part of a living fruit (it has attained eternal life with Him, Haqiqah). This is what Maulana meant by Discipline – it means submitting oneself to the strict training of Tariqah, in order to attain the Reality, Haqq. That blessed drop of water now tastes the sweetness of faith, the sweetness of True existence in Him, by Him and for Him. It experiences the sweetness of being a Gnostic, a Knower. Alhamdulillah. It is now part of a living fruit, it has attained life, eternal life, and it will never die ever again, for water is the secret to life. That blessed droplet of water in the fruit is now a source of nourishment and vitality for those who taste of it, it brings happiness and blessings by its existence henceforth. The droplet in the Sea? In stark contrast, the damned droplet in the Sea, tastes only the saltiness of its tears, for it is forever veiled from its Beloved, never to taste the sweetness of Unity. That salty droplet is Spiritually dead, and will remain forever so. Whoever drinks from it, will become more thirsty, more diseased and will eventually die. There is no compulsion in religion. Maulana says, we are all free to choose our way, but remember – we must be prepared to live with the consequences of our decisions, forever. It takes a truly blind, foolish and short-sighted one to choose an eternal life of regret over an eternal life of sweet love. It’s your call – you decide which fate you prefer. This 46 minute Suhbah in English can be viewed at www.Saltanat.org, Click here to watch the Suhbah. Click on Juma Sohbat 06 May 2011 (en). Should the video no longer be there, please look for it under the video archives of the Saltanat TV site. This entry was posted in Maulana Shaykh Nazim's Suhbahs and tagged chlorophyll, discipline, fruit, fruits, osmosis, Shaykh, tariqah, transpiration, water, xylem. Bookmark the permalink.